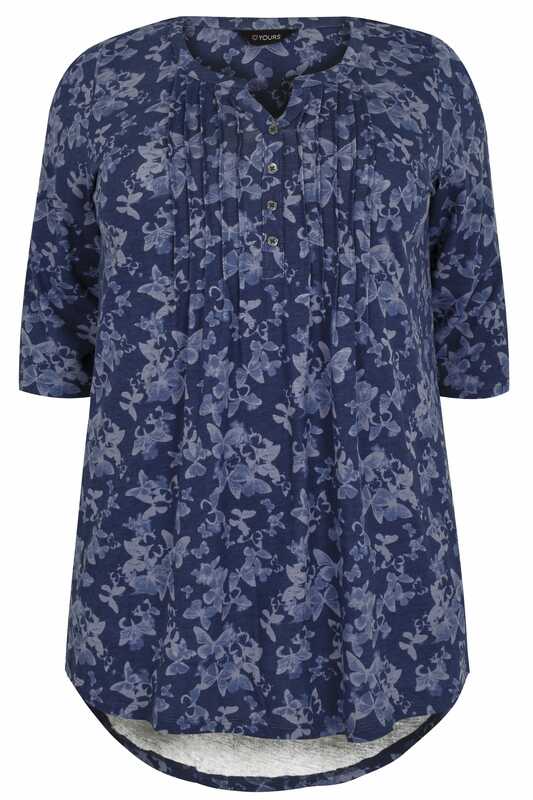 This pretty blouse will update your smart-casual line-up. 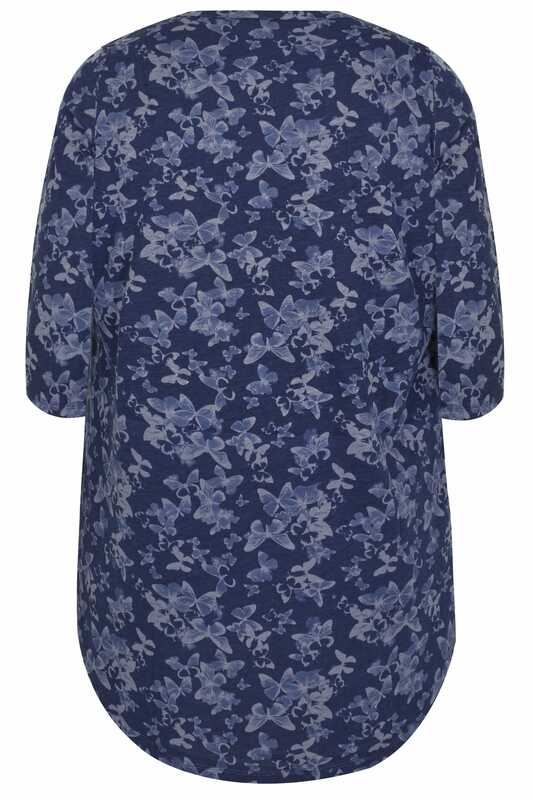 Made from a super-soft jersey fabric with an all-over butterfly print, it features pintuck pleated detailing across the chest with mock button fastenings. Team with dark denim and ankle boots for a chic daytime look. We love its relaxed silhouette with a flattering dipped hem.